Allianz Insurance celebrated the success of its recent intake of broker scholars, by holding a graduation event at Heddon Street Kitchen, London. 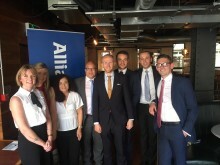 The lunch recognised the achievements of 20 scholars who have completed Allianz’s Scholarship Programme, which supports brokers to achieve their CII Diploma in Insurance within 18 months. 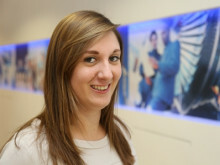 Since 2012, more than 180 brokers have taken part in the Allianz Scholarship Programme, benefitting from first-class tuition and networking opportunities. “We’d like to congratulate all of our broker graduates who have worked extremely hard over the last 18 months. We are delighted to welcome them to our Alumni programme and encourage them to continue to make the most of the resources we offer.